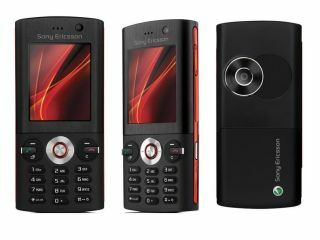 Sony Ericsson today announced the 'stylish all-rounder' Sony Ericsson K630 handset. Featuring 3G HSDPA connectivity, email on the move via the preloaded Microsoft Exchange ActiveSync, and Memory Stick Micro expansion up to 4GB, the Sony Ericsson K630 already sounds like a very attractive package indeed. The candybar-shaped handset also features a 2-megapixel camera, drag-and-drop transfer for media files, tri-band GSM and an FM radio. There's also a built-in media browser, from where you can launch the music player, video player or photo gallery. You'll be able to add your favourite websites and RSS feeds to the desktop widgets, and upload shots from the built-in 2-megapixel camera instantly. As well as a dedicated music key, all tracks and audio clips will be automatically converted into phone-friendly file formats using the supplied Media Manager software. Battery life is said to offer nine hours' talk time on a single charge. The Sony Ericsson K630 will be available in 'Havana gold' or 'quick black', and will go on sale later this month. No pricing details were given. Sony Ericsson also announced availability of its latest Walkman and Cyber-shot phones, the Sony Ericsson W910 and the Sony Ericsson K850i. Both handsets will be available in stores from this month.